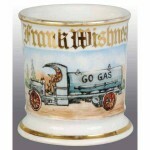 Delivery is one of the largest categories on the site because it’s a very popular design. 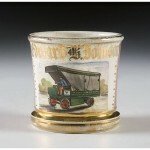 Between wagons and trucks of various designs there are many different variations to collect and admire and there are so many different businesses and types of occupations represented on the delivery vehicles that it’s something that can keep you busy for a long time. 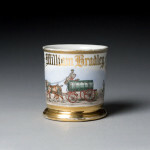 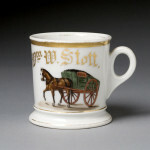 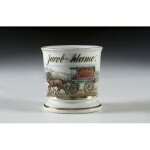 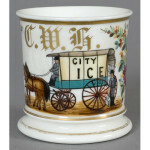 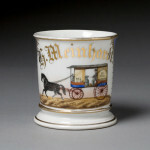 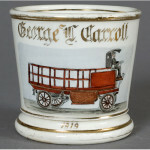 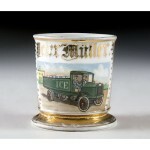 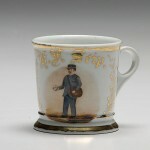 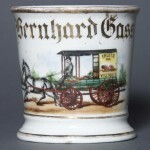 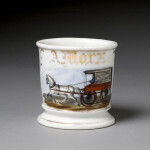 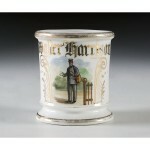 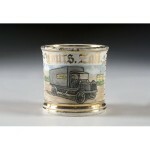 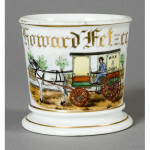 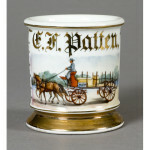 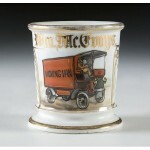 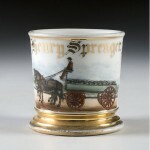 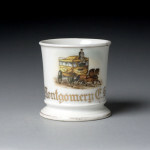 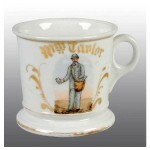 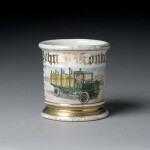 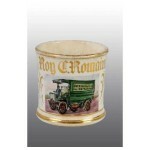 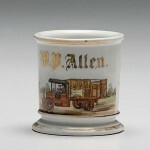 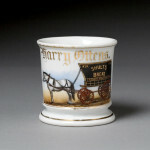 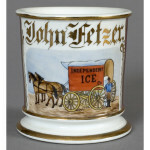 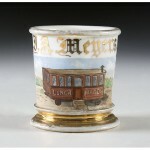 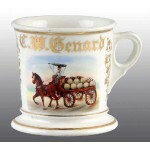 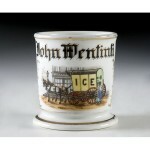 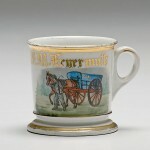 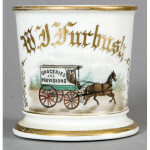 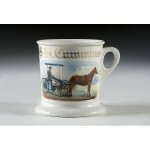 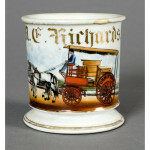 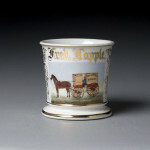 These mugs are very similar in terms of composition to many Automobile mugs but the vehicles, whether horse-drawn or engine-powered, are larger and frequently have nice details including text telling us the business name or address, and images of the goods being transported. 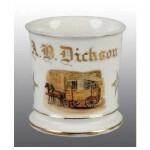 Common types of things to look for are US Mail Delivery, Moving Vans / Wagons, Lunch Wagons (the original food trucks), Ice, Coal, Express Companies (Adams, American, Wells Fargo), and frequently simply generic mugs with no other details.